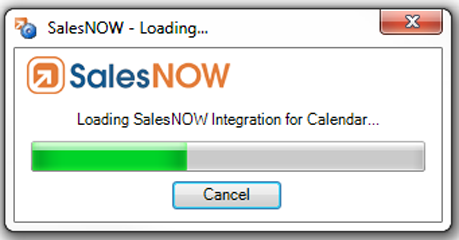 SalesNOW’s Outlook integration delivers improved productivity for Outlook users. Outlook is an essential tool for many sales reps. If Outlook is your email platform, SalesNOW has a plugin that will let you save Outlook emails, calendar entries and contacts into SalesNOW and will also stay in sync if changes are made to those records in either Outlook or in SalesNOW. Available for Microsoft Outlook 2007, 2010, 2013 and 2016. Many of us like to compose our emails directly from within Outlook. SalesNOW helps you save time by allowing you to compose SalesNOW emails directly from within Outlook. These SalesNOW emails can be automatically associated to the Contact, Company, Lead, Deal or Case selected. Any incoming emails from Outlook can also be saved into SalesNOW and associated to the selected record. 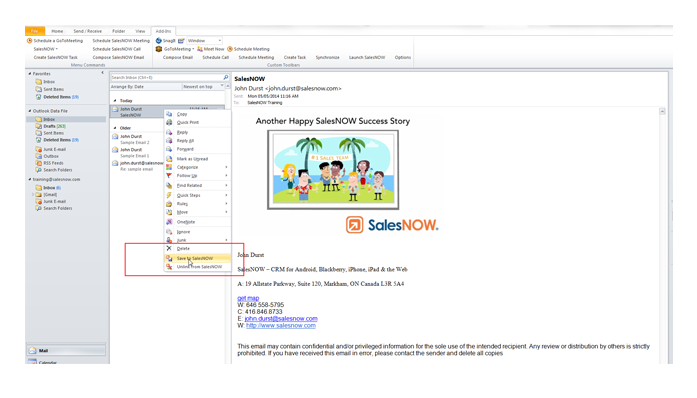 The SalesNOW user can also compose Outlook emails from within SalesNOW saving them time and giving them the opportunity to associate the email to the record selected. Using the SalesNOW Outlook Add-In, SalesNOW users can schedule calls and meetings that will appear in both the Outlook Calendar and the SalesNOW Calendar. These meetings can be associated in SalesNOW to the Contact, Company, Lead, Deal or Case selected. Once created, these calls or meetings will appear in both the Outlook and SalesNOW Calendars. Any changes to the meeting will stay synchronized between SalesNOW and Outlook. The SalesNOW user can also schedule Outlook meetings or calls from within SalesNOW saving them time and giving them the opportunity to associate the meetings or calls to the record selected. The SalesNOW Outlook Add-In lets you save your existing Outlook contacts to SalesNOW. Any time you update a contact in Outlook, the contact record will be updated in SalesNOW. Likewise, any updates to contacts in SalesNOW will be reflected in Outlook. 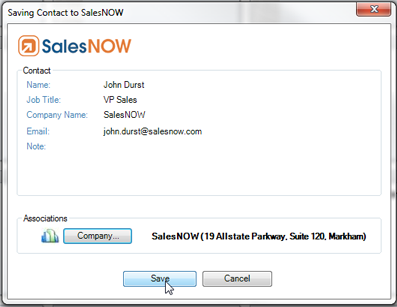 From the Outlook contact record, the SalesNOW user can compose SalesNOW emails or schedule a SalesNOW call or meeting.